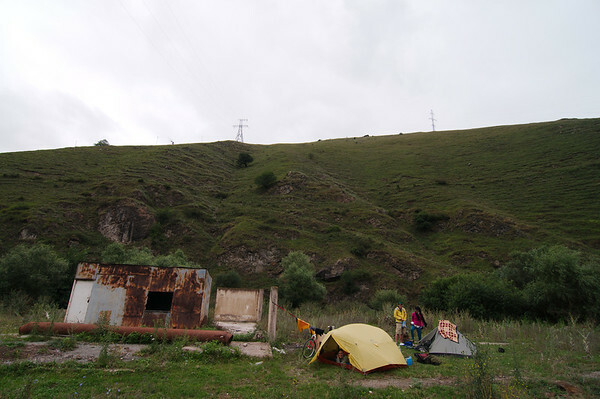 We managed to be on the road by 6am leaving Tbilisi. The city is not particularly an early riser so we didn't have to battle much traffic. 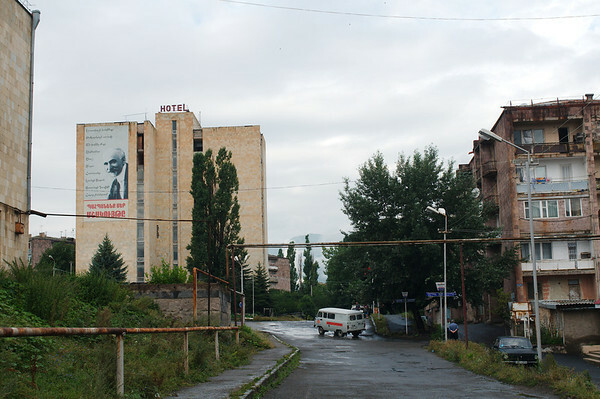 Compared to the highway entering Tbilisi from the west, the road south towards Armenia was virtually deserted. We thought we might be able to change money and get lunch before crossing the border but there was not much as far as we could tell. 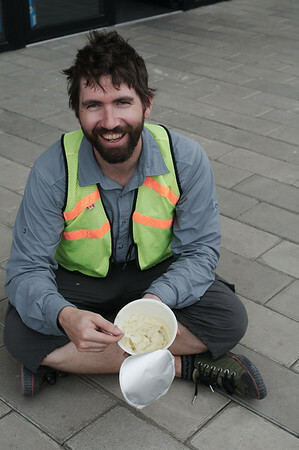 We settled for instant noodles and instant mashed potatoes on the Georgian side of the border and decided we'd try our luck purchasing our Armenian visa without any Armenian currency. 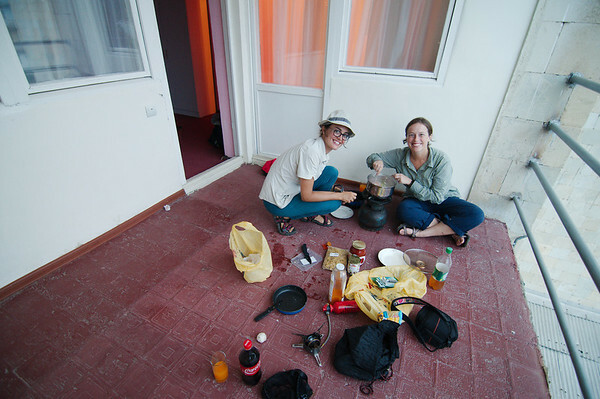 While we were enjoying our lunch, Kyle and Molly, two American cyclists pulled up to greet us. 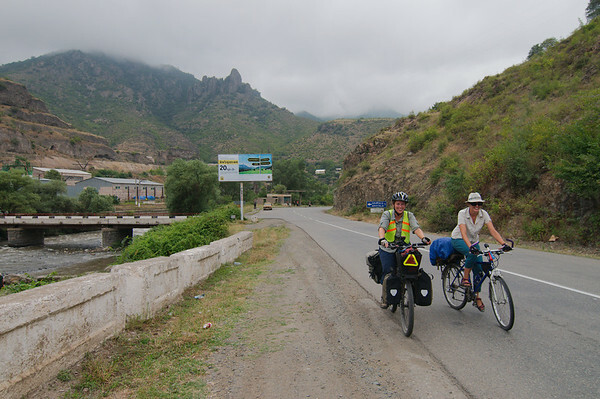 They were also about to cross into Armenia and we agreed to cycle together to our next stop. 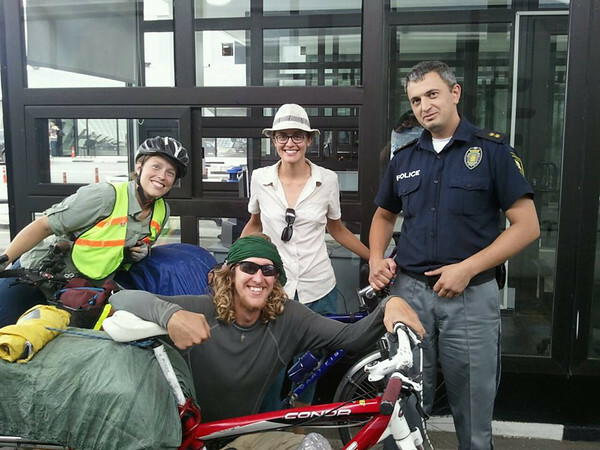 Kyle and Molly began travelling in March on foot but got bored and decided to buy bicycles. They have only their small backpacks strapped to the back of their bicycles, we were tanks next to them. 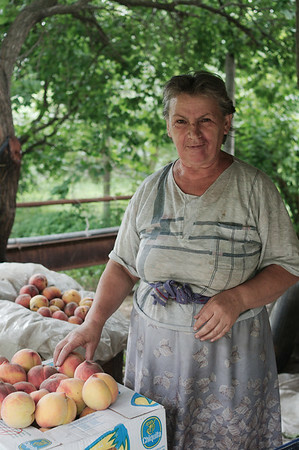 Armenian peaches and Armenian hospitality! Somehow, we had decided that our guesthouse was at the top of the canyon, above the city centre, 300 metres up but less than 5km away. 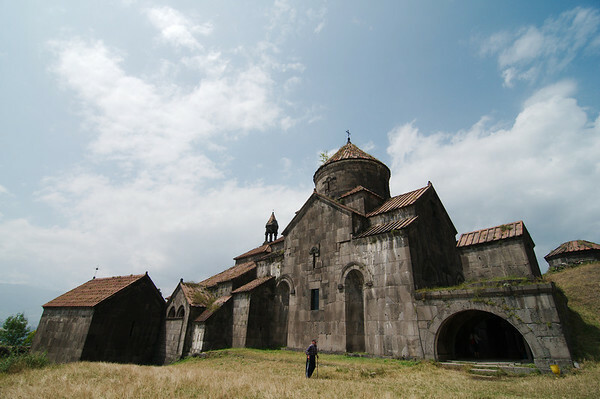 At the time, we were under the mistaken assumption (thanks Google Maps) that we were climbing to Alaverdi. Had we stopped to think and to look around it would have been clear that we were leaving the city centre, but we didn't stop, we just climbed (for almost an hour). 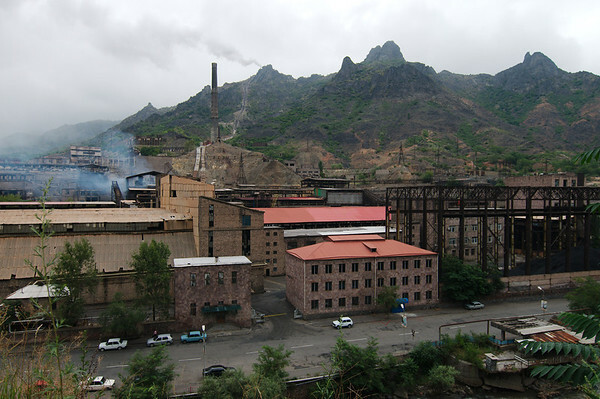 We were in fact climbing to Sadahart, a suburb of Alaverdi. 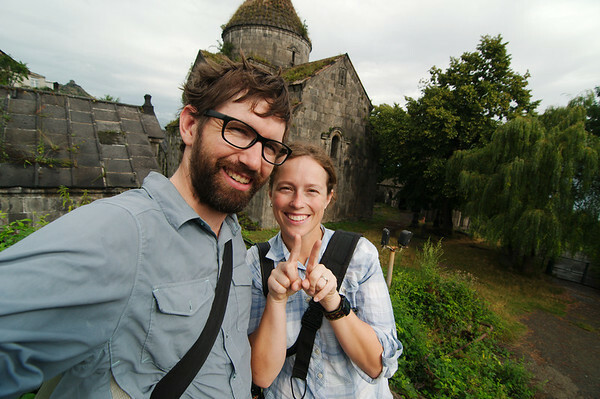 As we approached Sadahart our hopes of finding a place to sleep were fading and Yann and I felt pretty bad about having dragged two people up the mountain with the promise of a cozy guesthouse. 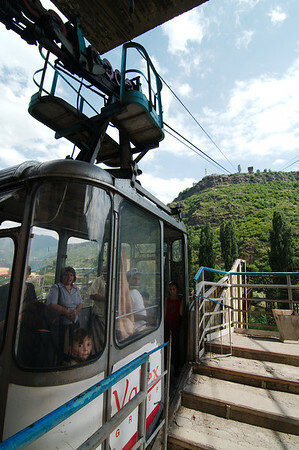 The real excitement of Alaverdi was riding the cable car from the city centre up to Sadahart where we were staying. 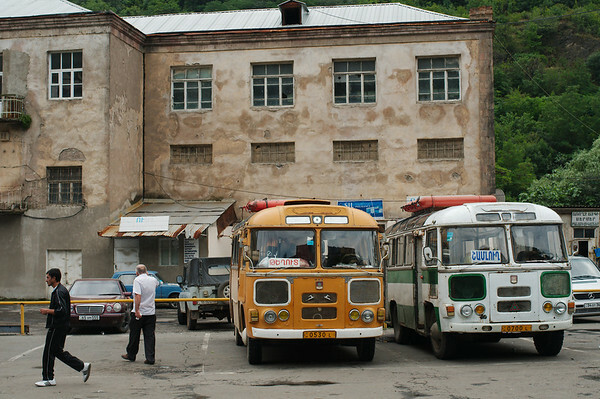 Purportedly making the steepest climb of any cable car in the former USSR, this ageing beauty took a little bit of courage to get into, but we joined the commuters who didn't seem to find it too scary. 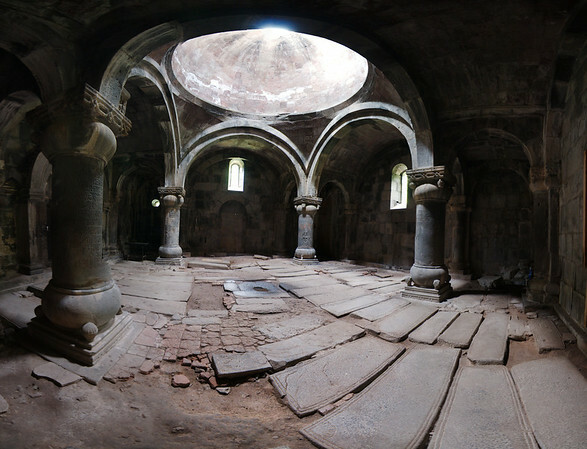 From Alaverdi (Sadarhart) we climbed to the biggest city in the area, Vanadzhor. The road continued to be free of much traffic and the drivers who passed us did so carefully (except those with Georgian plates). 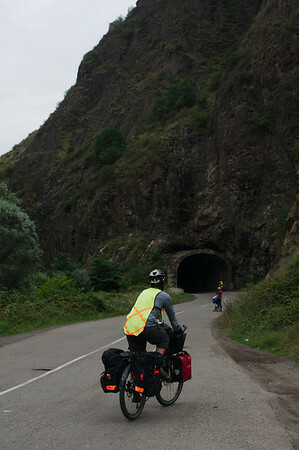 We rode through two completely pitch-black tunnels which were a bit terrifying, but the cars did not even attempt to pass us and carefully waited while we made our way through.